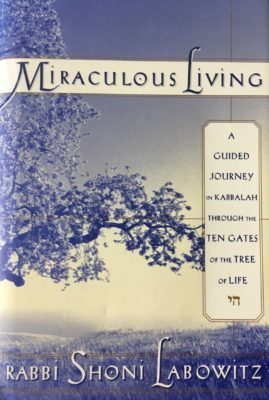 Intention: To explore spiritually, paragraph by paragraph, chapter by chapter, in a safe, supportive environment, Rabbi Shoni’s “Miraculous Living.” Kindly bring your book with you. Where: the home of Flo Marshak and Judy Rubino – Sunrise, Florida. Call Flo at 954-870-7233 to register and to get the address. Seating will be limited; please call if you are interested. All TAO members – no charge. Non-members – after two sessions, you must be a member of TAO.